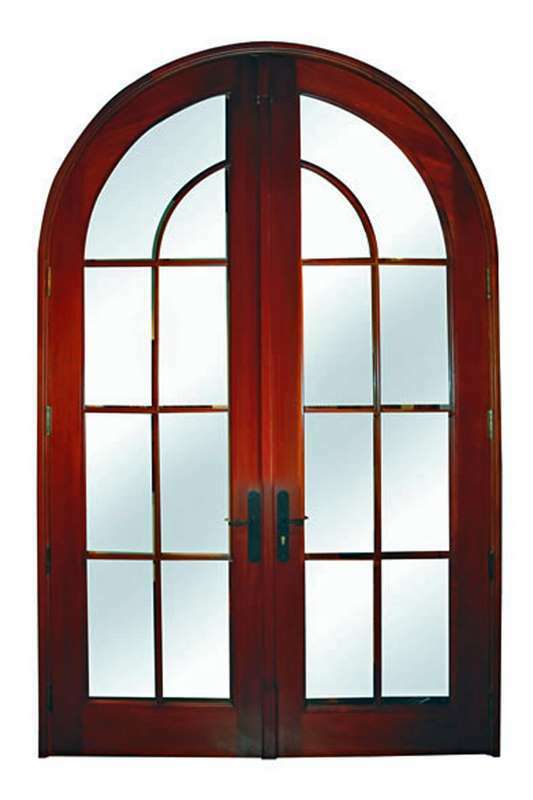 The unique opulent and elegant design of the Davinci Mahogany French doors is composed of a full arch with a flowing division of the glass. The superb composition of the door is manufactured with exactness and superior craftsmanship. The doors are fitted with lever custom manufactured “Asiel” handles, a hidden 2 point locking mechanism in the inactive door and a 3 point locking mechanism in the active leaf. The French doors are manufactured utilizing select grade, genuine Honduras Mahogany procured from responsibly controlled forests.